This conference is designed with you in mind. Get recharged, uplifted, and replenished. Come experience this power packed and motivating environment while connecting with others. Registration is MANDATORY. This is a FREE event and a FREE event meal is provided for those who register. This conference is designed for ages 13 to 35! 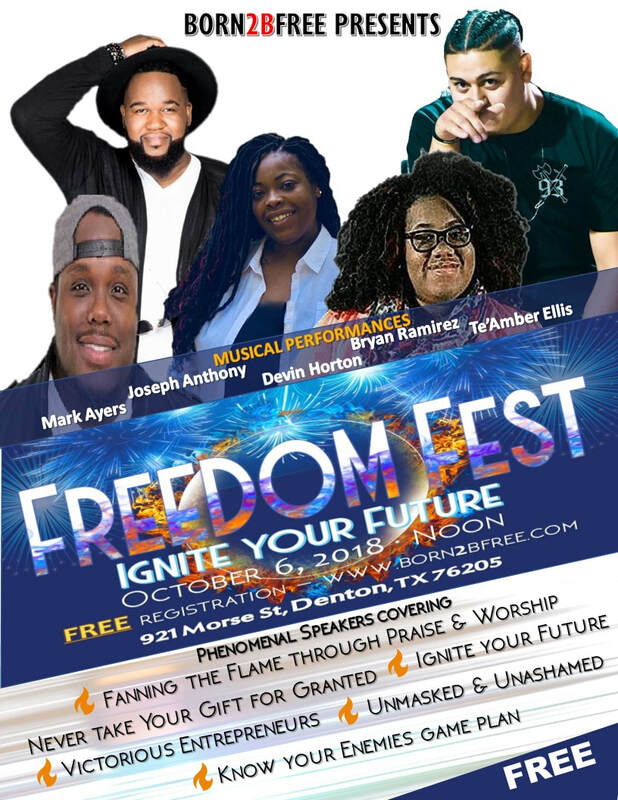 We would like to thank everyone for your attendance and support of our Freedom Fest 2018. If you would like to volunteer for this conference please contact us at 940-239-2660.